A scene from "The Bad Sleep Well"
A scene from "Seven Samurai"
Movie poster for "The Hidden Fortress" Courtesy of Toho Company Ltd.
“Like Kurosawa, I make mad films. Okay, I don't make films. Throughout much of his life in his native Japan, Akira Kurosawa was greeted as “Sensei” — “master,” a title of affection and respect — by admirers and collaborators. Just as often, however, he was spoken of as “Tenno” — “emperor” — by critics and detractors who mocked what they viewed as his aloof and aristocratic manner. His name became a kind of shorthand for the “jidai-geki” (period costume films) that many Westerners continue to view as most emblematic of Japanese cinema. But many of his finest efforts were 20th-century stories that did not showcase a single samurai. Did he contradict himself? Very well, he contradicted himself. To paraphrase Walt Whitman: Akira Kurosawa was large enough to contain all the multitudes he wanted. You can savor the variety and vastness of his oeuvre starting this weekend, when the Museum of Fine Arts, Houston kicks off Akira Kurosawa @ 100, four-month retrospective timed to celebrate the centennial of his birth. Reveling in his own contradictions, Kurosawa fully appreciated the extreme responses he inspired as a living legend. In 1984, when he was ready to direct a storm sequence for Ran (Dec. 12 at MFAH) — arguably, his last great film — Mother Nature obligingly provided a special effect. Almost precisely on cue, a typhoon struck the shooting location in Kyushu. Later, Kurosawa joked: "In Japan, journalists often call me `emperor' because they think I'm so tyrannical. Well, I guess I can now command even the elements." On other occasions, however, Kurosawa lived down to expectations by behaving very much like the authoritarian autocrat he was rumored to be. Read the final page of Something Like an Autobiography, his acclaimed 1982 memoir, and you find a self-portrait of the artist as a harshly judgmental know-it-all: "I am often asked why I don't pass on to young people what I have accomplished over the years. Actually, I would like very much to do so. Ninety-nine percent of those who worked as my assistant directors have now become directors in their own right. 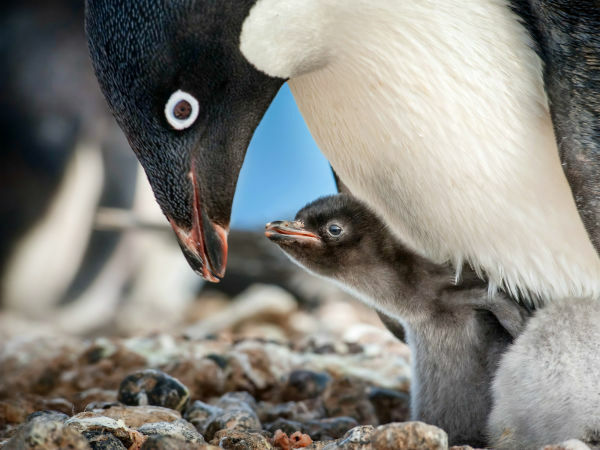 But I don't think any of them took the trouble to learn the most important things." 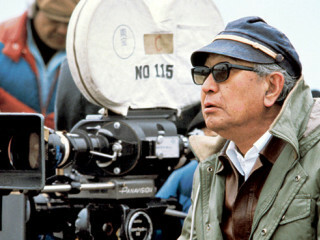 At the time of his passing at age 88, Akira Kurosawa was eulogized as one of the 20th century's greatest and most influential filmmakers, as the director who single-handedly brought Japanese cinema to the world's attention with such early masterworks as Rashomon, Ikiru and Seven Samurai. 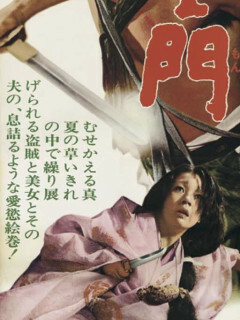 Tokyo film critic Yoshio Shirai only half-jokingly noted: "Before Rashomon, the outside world's image of Japan was Mount Fuji, geisha girls and cherry blossoms. After the movie, it changed to Kurosawa, Sony and Honda — in that order." Later, as his fame and influence spread across the world, Kurosawa found himself saddled with the dubious honor of being praised — and damned — as the "most Western" of Japanese filmmakers. Well into the late 1980s, the emperor remained enough of a superstar in Japan to command substantial sums for appearing in TV commercials for whiskey and home electronics. And yet journalist Ian Buruma insisted in a 1989 New York Times Sunday Magazine profile that Kurosawa was admired more abroad than at home. "Younger (Japanese) critics tend to regard him as an anachronism," Buruma wrote. "His humanistic concerns and worship of classical art seem out of place in post-modern Tokyo." Kurosawa made no apologies for embracing the style and substance of “foreigners" as diverse as John Ford and Vincent Van Gogh. (The latter appeared as a workaholic sage — played by Martin Scorsese, no less! — in Akira Kurosawa's Dreams, a 1990 omnibus not included in the MFAH lineup.) He filmed Dostoyevsky's The Idiot as a contemporary drama set in the snow country of Hokkaido, and transferred Gorky's The Lower Depths to the slums of Edo-period Tokyo. At the same time, though, Kurosawa remained forever mindful of his roots. And while he refused to err on the side of romanticized nostalgia in his re-creations of Japan's turbulent past, he viewed social changes, technological advancements and other breaks from tradition as extremely mixed blessings. It is well worth noting that, in Seven Samurai, the 16th-century swordsman who best represents the "bushido" code of honor is felled by a rifle shot. Seven Samurai (6:30 p.m. Saturday) — Kurosawa's stunning 1954 epic is one of those rare indispensable films that practically everyone has heard about, regardless of whether they've actually seen it. Indeed, even if you haven't, you may think you've seen it, given its strong influence on so many other films and filmmakers. Directors ranging from John Sturges (who remade it as The Magnificent Seven) to John Sayles (who borrowed the basic plot while writing a 1980 sci-fi B-movie titled Battle Beyond the Stars) have drawn from this tale of honor among warriors in 16th-century Japan. By turns sage and savage, avuncular and authoritarian, Takashi Shimura is Kambei, an unemployed samurai who agrees to help peasants defend their village against marauding bandits. Even though the pay is meager — a few handfuls of rice— Kambei is able to recruit other hired swords who have little else to do after being cast adrift by the lords they once served. By appealing to their pride and sense of justice, he attracts such tough customers as Kyuzo (Seiji Miyaguchi), a taciturn professional who never wastes a word or gesture, and Kikuchiyo (Toshiro Mifune), a bearish hot-head who takes great pains to hide his less-than-noble ancestry. Seven Samurai shows Kurosawa at the top of his form, demonstrating an absolute mastery of his medium with an inspired balance of formal precision and kinetic exuberance. His epic opens with fast pans of bandits riding over hills, and climaxes with the chaos of a rain-soaked, mud-and-blood battle. 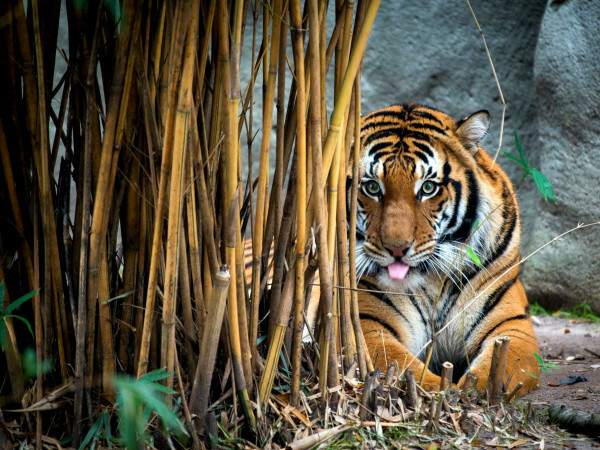 In between, there is scarcely a single shot that does not contain motion. 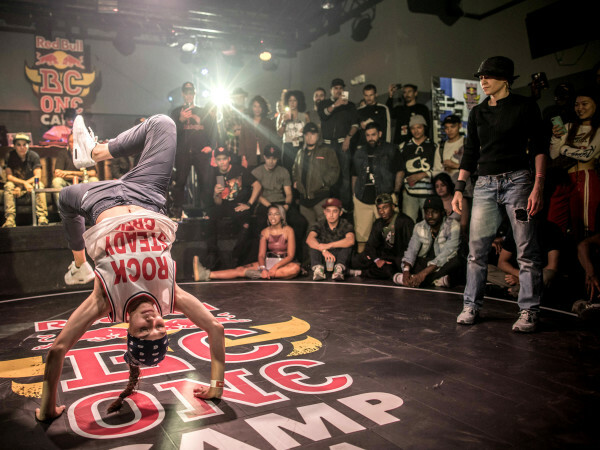 Even when people within the frame are stationary, the camera itself glides, thrusts and recoils. 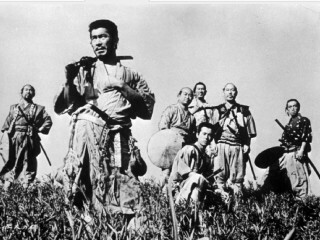 More than a half-century after its initial release, Seven Samurai makes most other action movies seem positively pokey. Rashomon (8 p.m. Oct. 1 at Discovery Green) — A bandit subdues a nobleman in a secluded woodland, and forces himself on the nobleman's beautiful wife. The nobleman dies, the wife flees, the bandit is captured — and everything else in Rashomon remains open to conjecture. 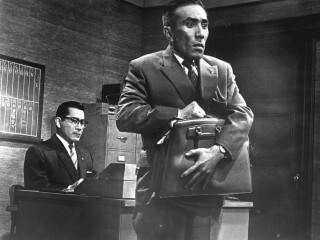 Decades before The Usual Suspects warned moviegoers not to accept subjective testimony as verifiable fact, Kurosawa's 1950 breakthrough masterpiece suggested that no eyewitness can be entirely trusted, that truth itself may be forever elusive. Four different accounts of the crime — including one offered by the late nobleman through a court-ordered medium — are considered by three strangers stranded under the Rashomon gate by a raging thunderstorm. Was the nobleman truly a man of honor? Is his wife an innocent victim or a guilty participant? Could the bandit (Toshiro Mifune at his most swaggeringly uninhibited) be twisting the truth for a selfless reason? The possibilities are perplexing. Each testimony is dramatized in flashback, and none seems more credible than the others. Indeed, Kurosawa strongly hints that all four stories are, to varying degrees, deceptions born of self-delusion. "Human beings," he wrote in his memoir, "are unable to be honest with themselves about themselves." Rashomon has spawned many imitators, including a 1964 Americanized remake, The Outrage, with Paul Newman miscast as a Mexican outlaw. But Kurosawa's film continues to be paradigm for this sort of beguilingly simple but provocatively complex drama. Even now, the title is used to describe anything from Senate hearings to Seinfeld episodes in which a story is told from multiple — and often contradictory — points of view. Ikiru (7 p.m. Oct. 15) — Kurosawa once again experimented with shifting perspectives and subjective interpretations in this deeply moving 1952 drama — one of his very best — about a fusty bureaucrat (masterfully played by Takashi Shimura of Seven Samurai) who is devastated, then galvanized, when he discovers he is dying of cancer. At first, Watanabe desperately seeks the most possible pleasure in the least amount of time. Ultimately, however, he realizes that even though he has already wasted most of his life as a paper-pusher, he shouldn't fritter away what's left of it as a party animal. So Watanabe devotes his final days to establishing a neighborhood park for children. About two-thirds of the way through Ikiru, Kurosawa jumps ahead five months, to focus on the friends and co-workers who gather for Watanabe's all-night wake. From the flashbacks cued by their recollections — some of them contradictory, almost all of them self-serving — the audience is able to piece together something like the truth: The bureaucrat managed to triumph over his impending death, and jump-start his long-dead soul, by finding purpose through action. 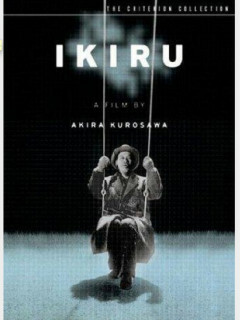 Ikiru (which translates as “to live”) contains one of the most heartbreakingly eloquent images in all of Kurosawa's cinema: After finally achieving his goal of transforming an urban wasteland into a playground, the dying Watanabe sits alone in the snow, on a swing, and softly sings a melancholy song about the evanescence of life. His own life may be complete, but so is his victory. The Bad Sleep Well (7 p.m. Oct. 16) — There's more than a hint of Hamlet in Kurosawa's profoundly fatalistic 1960 melodrama about a would-be avenger who is undermined by his own humanity during a private crusade against far less scrupulous opponents. Wearing nerdy eyeglasses that somehow make him appear all the more foreboding, Toshiro Mifune plays the illegitimate son of a tradition-bound businessman who was driven to suicide by corrupt superiors. Assuming a new identity, Mifune marries the naive daughter (Kyoko Kagawa) of the business executive (Masayuki Mori) responsible for his father's death, then goes to work as his father-in-law's personal secretary. Slowly, ruthlessly, he gathers evidence against the executive, hoping to link the seemingly respectable construction-company official to figures in the Japanese government. Unfortunately, as Mifune admits to his only confidant, it's hard to make yourself as hateful as those you hate the most. Especially when you make the mistake of falling in love with a woman who wants to the think the best of your worst enemy. Echoes of Shakespeare's story of the Melancholy Dane abound throughout The Bad Sleep Well. (During the long wedding sequence that begins the film, Mifune uses a theatrical flourish to capture the conscience of his father-in-law.) But a contemporary viewer may be reminded more of the machinations common to prime-time soap operas about the rich and infamous. Either way you care to look at it, as a modern-day tragedy or a Japanese Dynasty, The Bad Sleep Well is relentlessly fascinating and uncommonly entertaining. 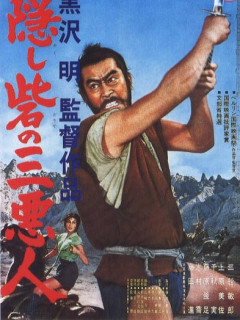 The Hidden Fortress (7 p.m. Oct. 17) — At once a straight-faced spectacle and a mischievously sly put-on, The Hidden Fortress follows a fugitive princess (Misa Uehara) and her loyal general (Toshiro Mifune) as they maneuver through enemy territory during the civil wars of the 1500s. Skillfully employing wide-screen compositions for the first time in his career, Kurosawa alternates between elaborate set pieces — a slave revolt, chases on horseback, fire-festival celebrations, hairbreadth escapes — and broadly played comic relief. Much of the latter is provided by two bickering bumpkins (Minoru Chiaki, Kamatari Fujiwara) who go along for the ride without knowing the princess' true identity — and who greedily plot to steal the gold hidden among the firewood transported by the general. Yojimbo (7 p.m. Nov. 19) — The steely-eyed stranger rides into a lawless town where bad men rule, loyalty is bought and sold, and the coffin-maker never sleeps. With equal measures of ruthless cunning and lethal proficiency, he cuts a bloody swath through the corruption. In the end, as he prepares to ride off to another adventure, he takes a moment to appreciate his handiwork: "Now it will be quiet in this town." No kidding: Thanks to the stranger, just about everyone who once lived there is dead. Yojimbo, Kurosawa's darkly comical 1961 Samurai Western, takes the hard-boiled premise of Dashiell Hammett's Red Harvest — a tarnished hero encourages two rival gangs to destroy each other — and outfits it with the trappings of traditionally Japanese "jidai-geki." But there is nothing traditional about the cynical tone or the sardonic humor of this gleefully savage self-parody. Sanjuro, the sword-slinging anti-hero played by Toshiro Mifune, is prepared for the worst upon his arrival, when he sees a stray dog trotting down the dusty street with a human hand in its mouth. 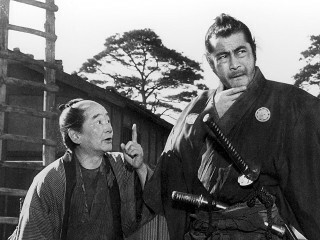 Later, after he temporarily signs on as a "yojimbo" (bodyguard) for one of two warring clan leaders, he overhears the leader's shrewish wife urging her feckless son to kill Sanjuro: "Do it from behind, and it'll be quite easy enough!" When Sanjuro finally gets around to pitting one clan against the other, he isn't motivated by moral outrage. Rather, he simply delights in exploiting the villainy of lesser men to produce an amusing spectacle. The one time Sanjuro performs a selfless act — he reunites an enslaved woman with her husband and young son — he pays dearly for generosity. Yojimbo has been remade twice, with Clint Eastwood (A Fistful of Dollars) and Bruce Willis (Last Man Standing) filling in for Mifune as the impassive protagonist. But even though each of the recyclings has something to recommend, the original remains in a class by itself as an exuberantly misanthropic masterpiece. 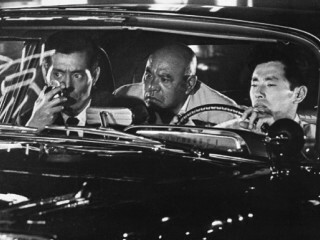 High and Low (5 p.m. Nov. 21) — After finding inspiration in the classics of Shakespeare and Dostoyevsky, Kurosawa turned to a decidedly more contemporary source: King's Ransom, Ed McBain's 87th Precinct thriller about the kidnapping of a Manhattan businessman's young son. With the aid of three co-screenwriters, Kurosawa transferred the story to Japan, and infused it with his vision of a modern society undermined by the erosion of traditional values. But even while the 1963 film can be appreciated as an absorbing morality play, High and Low also can be enjoyed as a first-rate, noir-flavored police procedural. The astoundingly versatile Toshiro Mifune is Kingo Gondo, a lordly shoe-company executive who mortgages everything he owns to launch a hostile takeover of his own firm. Pride, not greed, is his motive — he's determined to defeat rival board members who want to produce cheaper shoes for higher profits. But before he can complete his risky stock deal, Gondo gets a call from a stranger who claims he has kidnapped the businessman's only son. The good news: The kidnapper mistakenly abducted the son of Gondo's chauffeur. The bad news: He demands a 30-million-yen ransom anyway. "You're a fool to pay," he cruelly taunts the bound-by-honor Gondo. "But you will." And he's right. Kurosawa skillfully intensifies the tension inside Gondo's lavishly appointed mansion by evoking a sense of claustrophobia. Some individual widescreen shots are framed so that even while other characters — policemen, the anxious chauffeur, Gondo's loyal wife — circle the businessman, he remains apart in the terrible isolation of his moral dilemma. When Gondo finally leaves his home to deliver the ransom, the movie switches gears to become a visually eloquent and dramatically gripping account of the manhunt for the kidnapper, an embittered medical student who views his crime as fair play in class warfare. 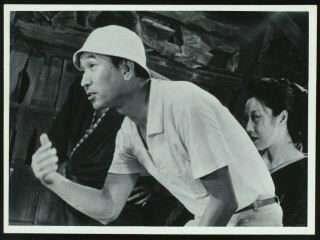 Ginji Takeuchi (Tsutomu Yamazaki), the villain of the piece, remains a baffling enigma until his climactic confrontation with Gondo. Takeuchi made a conscious decision to commit evil, he tells the businessman he has bankrupted, because he felt he already was living in hell. In the end, nothing — not his eminent execution — terrifies him as much as the possibility that he was mistaken.